1 Owner, Clean Carfax2017 Toyota Corolla LE CERTIFIEDOdometer is 18851 miles below market average!28/36 City/Highway MPGAwards: * 2017 KBB.com 10 Best Sedans Under $25,000 * 2017 KBB.com 5-Year Cost to Own Awards * 2017 KBB.com Best Resale Value Awards * 2017 KBB.com 10 Most Awarded BrandsWhy West Coast Toyota of Long Beach? Brand new building to house hundreds of vehicles New service center for quick and quality service visits Comfortable customer lounge with snacks and WiFi Toyota Certified service staff Free shuttle services for our service customers. Fully stocked parts department with thousands of parts and accessories available at all times. Toyota Rental Cars Drive one of the latest model Toyotas for business, pleasure or while yours is being serviced. Must see to appreciate, Pre Own Certified, Clean Carfax, One Owner, New Arrival, Priced to Sell2017 Toyota Corolla SE - 28/35 City/Highway MPGAwards: * 2017 KBB.com 5-Year Cost to Own Awards * 2017 KBB.com 10 Best Sedans Under $25,000 * 2017 KBB.com 10 Most Awarded Brands * 2017 KBB.com Best Resale Value AwardsWhy West Coast Toyota of Long Beach? Brand new building to house hundreds of vehicles New service center for quick and quality service visits Comfortable customer lounge with snacks and WiFi Toyota Certified service staff Free shuttle services for our service customers. Fully stocked parts department with thousands of parts and accessories available at all times. Toyota Rental Cars Drive one of the latest model Toyotas for business, pleasure or while yours is being serviced. Toyota Certified Warranty Clean Carfax, 1 Owner. 2017 Toyota Corolla SE28/35 City/Highway MPGAwards: * 2017 KBB.com 10 Best Sedans Under $25,000 * 2017 KBB.com 5-Year Cost to Own Awards * 2017 KBB.com 10 Most Awarded Brands * 2017 KBB.com Best Resale Value AwardsWhy West Coast Toyota of Long Beach? Brand new building to house hundreds of vehicles New service center for quick and quality service visits Comfortable customer lounge with snacks and WiFi Toyota Certified service staff Free shuttle services for our service customers. Fully stocked parts department with thousands of parts and accessories available at all times. Toyota Rental Cars Drive one of the latest model Toyotas for business, pleasure or while yours is being serviced. 1 Owner, Clean Carfax!! 2016 Toyota HighlanderOdometer is 12874 miles below market average!Awards: * 2016 KBB.com 16 Best Family Cars * 2016 KBB.com Best Buy Awards FinalistWhy West Coast Toyota of Long Beach? Brand new building to house hundreds of vehicles New service center for quick and quality service visits Comfortable customer lounge with snacks and WiFi Toyota Certified service staff Free shuttle services for our service customers. Fully stocked parts department with thousands of parts and accessories available at all times. Toyota Rental Cars Drive one of the latest model Toyotas for business, pleasure or while yours is being serviced. Almost New, All Wheel Drive, 100k Power Warranty from Original In Service Date, One Owner, Clean Carfax, Sport Model, Priced to sell well below market2018 Hyundai Santa Fe Sport 2.4 BaseOdometer is 4317 miles below market average!20/26 City/Highway MPGWhy West Coast Toyota of Long Beach? Brand new building to house hundreds of vehicles New service center for quick and quality service visits Comfortable customer lounge with snacks and WiFi Toyota Certified service staff Free shuttle services for our service customers. Fully stocked parts department with thousands of parts and accessories available at all times. Toyota Rental Cars Drive one of the latest model Toyotas for business, pleasure or while yours is being serviced. 2017 Jeep Wrangler Unlimited Sahara - New Arrival, One Owner Clean Carfax, Must See to Appreciate, One of a Kind. 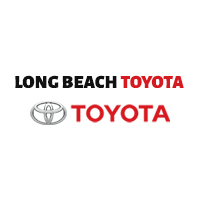 Awards: * 2017 KBB.com 10 Most Awarded BrandsWhy West Coast Toyota of Long Beach? Brand new building to house hundreds of vehicles New service center for quick and quality service visits Comfortable customer lounge with snacks and WiFi Toyota Certified service staff Free shuttle services for our service customers. Fully stocked parts department with thousands of parts and accessories available at all times. Toyota Rental Cars Drive one of the latest model Toyotas for business, pleasure or while yours is being serviced.